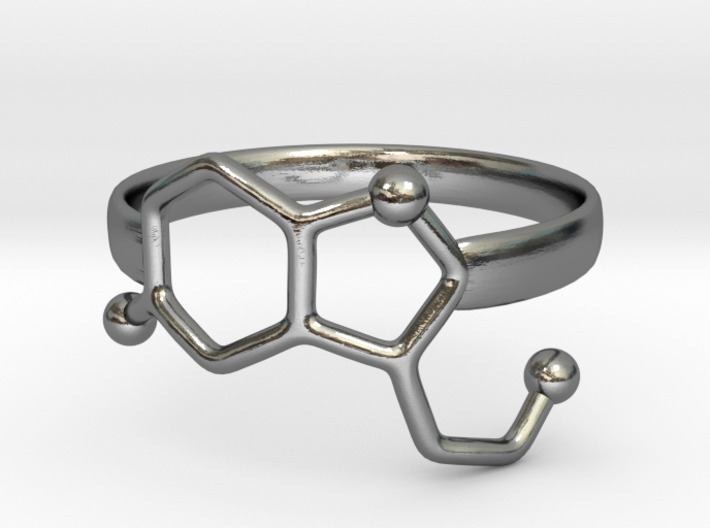 Serotonin Molecule Ring in 925 Sterling Silver. Serotonin is sometimes called the happiness hormone, helping to regulate mood, prevent depression and generate feelings of happiness. innovative, inventive, ingenious, original, novel, fresh, unconventional, unorthodox, off-centre, unusual, unfamiliar, unprecedented, avant-garde, experimental; groundbreaking, pioneering, trailblazing, revolutionary, radical, advanced, newfangled, modern, modernistic, ultra-modern, state-of-the-art, futuristic, rare If you feel drawn to these words, then this shop is for you. You might even find something that you haven't been looking for but that makes you think, I've got to have that! 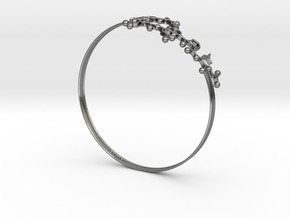 State your passions by wearing a piece of jewelry that will reflect what it is inside you. 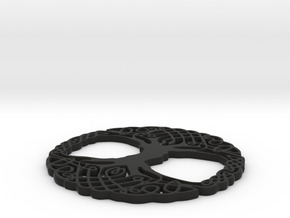 Disruptive jewlery is born from the union between Scott and Tiina from 3DPrintedSkull and Luk and Idoya from Somersault18:24, four restless minds that decided to dive into the world of 3D printing. But there is more... 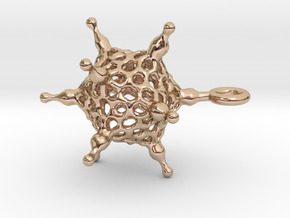 When you buy from us, not only will you get a unique piece of art but you will also become an emissary of science. 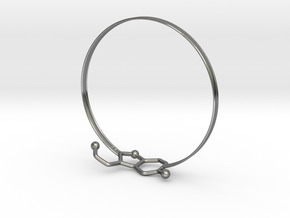 For every science jewelry purchased, we fund scientific endeavors to bring science closer to people. That's right, we will invest part of the profit in educational resources for scientists, students and teachers. Our goal is to make these resources available for everyone.